Preparations for the most extensive contractor-based exhibition in a decade have received a massive boost, as fenestration giant Internorm signs up to attend next year’s inaugural Build Show. As Europe’s largest window brand, Internorm’s commitment to the Build Show highlights the significance of this brand new exhibition. The family-owned company has more than 80 years of experience in the industry and its name is synonymous with quality and reliability. 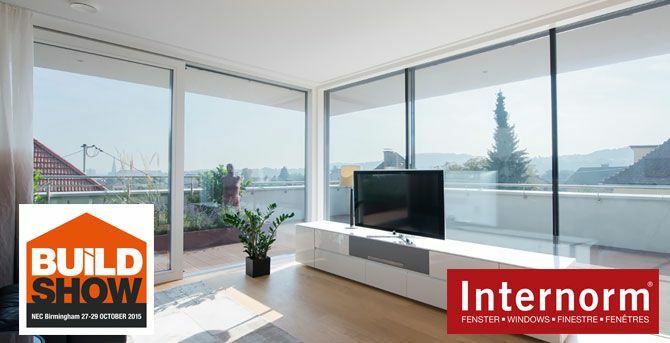 Experts in high performance, thermally insulated window systems and pioneers in the UPVC sector, Internorm plans to exhibit a range of new additions to its innovative door and window solutions. Taking place at the Birmingham NEC next year, the Build Show will bring together contractors, specifiers, builders, suppliers, housebuilders, architectural technologists and clients, providing the perfect forum to network, showcase new products and discover opportunities for professional development. Supported by a comprehensive seminar schedule that is influenced by the Build Show’s partners: the Federation of Master Builders, the Construction Industry Training Board, Glenigan and the Construction Products Association, the Build Show will address the real issues faced by the construction industry today. Some of the exhibitors already signed up include, VEKA, Festool, VW, Marmox and many more.